At first I felt funny about this because I don’t know what to say about transportation and logistics. I actually had to ask my wife Charlotte what that meant. So I’m going to tell you a story from my own life. 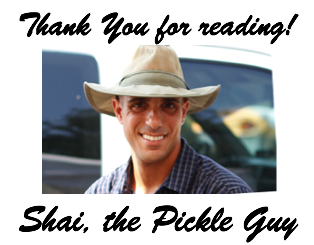 When you’re bootstrapping your small business, you have to solve your problems creatively and do it all yourself since it’s you wearing all the hats. We all remember those terrible blizzards that hit the Northeast last year. They just kept on coming. We’re lucky here in Florida that we don’t have to deal with blizzards… but it affected me because every Saturday I go out to the farmer’s markets. One of the things I sell at the markets is olives. My best ones come from Turkey and I get them from a guy in New Jersey named Al. 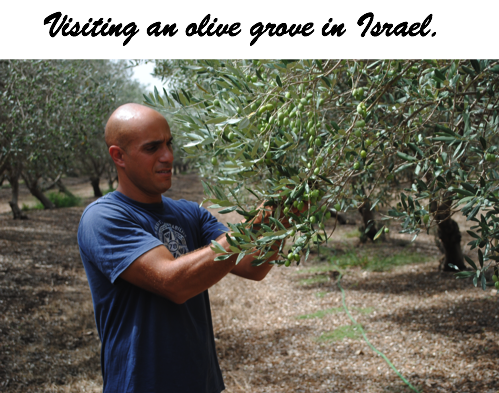 Al’s family owns and operates the olive groves back in Turkey... they’re a fourth generation family business. The olives are, hands down, the absolute best quality stuffed olives you ever tasted. Nothing compares. My customers know it too, and they come out every week and depend on those olives being in my barrels. Well, I order a pallet of olives about once a month from my guy Al. We arrange a trucker to get them from New Jersey to Florida, but this month we had a problem. The Tuesday that the truck was supposed to pick up the olives, NJ was hit by a blizzard. It was fast and furious and there was a ton of snow which started to melt… but then a cold front hit and everything froze. So Al’s entire shipping dock was basically encased in ice, no trucker could get in or out. He called me on Wednesday and told me the news. Now, I was already sold out of the product from the weekend earlier. That's how it goes in my business... we keep the inventory lean because cash flow is tough. I was cutting it really close and now that the storm had hit, I was in trouble. We had five farmer’s market events that weekend. Without my stuffed olives in our product line, I was going to be facing some really disappointed customers, in addition to losing the revenue. I gave it some thought but not too much because I knew what I had to do. 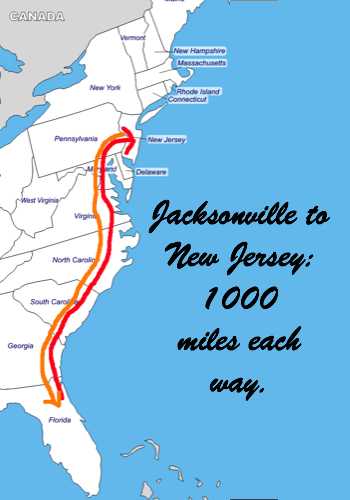 Jacksonville to Jersey is about a ~1000 mile trip. Drive it straight and it’s 14 hours one way if you only stop for gas and bathroom breaks. I left early Thursday morning at 1 am early to be in New Jersey late that afternoon. I brought one of my employees with me. We agreed: I’d drive us up, he’d drive us back. We were gonna do this non-stop. When I arrived at Al’s warehouse, sure enough, the dock was still encased in ice, so I headed to Home Depot, where I bought three things: 1 ice pick, 1 shovel and 1 cooler. For the next two hours, we chipped and picked away at the ice and shoveled the snow away, clearing the path for our truck to make it to the dock then loaded up the truck with the olives. I filled my cooler and we headed home. We drove straight back and were home early Friday morning, just in time to see my kids before they left for school. “Yes, I got it!” We were talking about the same thing, but it wasn’t the olives. I pulled the cooler out of the truck, they opened it up and scooped out the still-frozen snow and started making snowballs. All they knew was that Daddy had brought home snow and they were happy. My customers that weekend were happy too. The next day was Saturday I was behind the counter at the farmer’s market. When the crowd commented about how great the Garlic Stuffed olives were, I smiled and agreed. No one knew what it took me to get them there, how little sleep I’d gotten those last few days and they didn’t need to know. 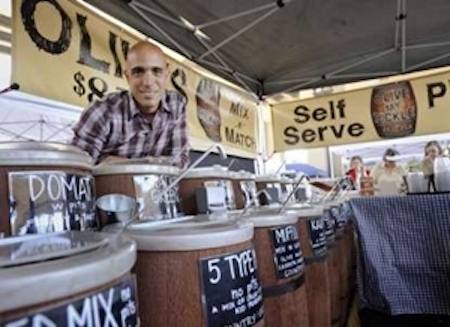 They just needed to come to the market, open up the barrels and see their favorite olives in there. 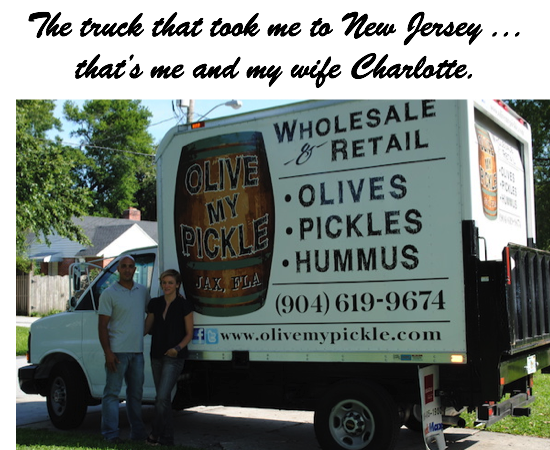 That’s my story about what "transportation and logistics" mean to me, the pickle guy." I finished my speech and left the stage. Three years later, I still have people approach me and tell me how much they liked what I said that day. I had something happen that changed the direction of my life and business. I still count it as the #1 thing that made me level up my business and my life. I’ll tell you about that next time. Thanks again for reading my story, I appreciate it. 1Antioxidant Food– Free radicals cause plastic to deteriorate, paint to fade, works of art to degrade. They can also cause age related illnesses and contribute to strokes, cancer and heart attacks. Yikes! Free radicals are molecules with unpaired electrons, on a quest to find another electron and are very reactive and damaging to surrounding molecules. The enemy of the free radical? Antioxidants! Antioxidants are molecules which can safely interact with free radicals, giving up some of their electrons and neutralizing the free radical. (It’s like the antioxidant gives the free radical a hug and helps it feel better.) Olives are antioxidant rich food, which means every time you eat them you send an army of good guys into your system to help those bad-guy free radicals chill out. 2Low Calorie – One olive only has about 7 calories. They have a ‘negative calorie load’, which means you burn more calories digesting an olive that you gain eating one. 3Good Fat - Despite the common misperception, olives are not fattening. They contain mono-unsaturated fat, the same good fat you find in nuts and avocados. Mono-unsaturated fat in the diet increases good cholesterol. In research studies, when diets increase mono-unsaturated fat (without becoming too high in total fat), participants experienced a decrease in their blood cholesterol, LDL cholesterol, and LDL:HDL ratio. All of this lowers risk of heart disease. Good stuff! 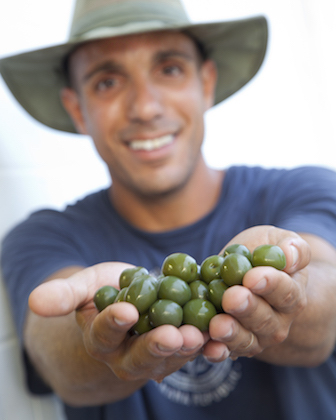 4Memory – Olives contain polyphenols, a natural chemical that reduce oxidative stress in the brain. By eating a daily serving of healthy olives you can help improve your memory. 5Beauty – Eating healthy olives helps skin stay soft and healthy since they contain oleic acid. Eat olives = stay good-looking. 6Appetite control – By eating a few olives before a meal, you can take the edge off your appetite. This is because the monounsaturated fatty acids contained in healthy olives slow down the digestion process and stimulate the hormone cholecystokinin, which sends messages of fullness and satisfaction to the brain. 7Pain reduction – Olives oil contain oleocanthal, a substance with anti-inflammatory agents that can act as a natural Ibuprofen. 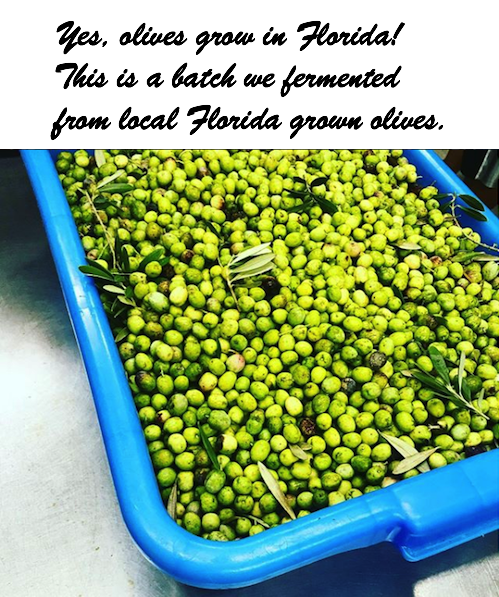 8Anti Cancer – The fact that olives are an antioxidant-rich food and have anti-inflammatory properties make them a natural protection against cancer because chronic oxidative stress and chronic inflammation can be key factors in the development of cancer. If our cells get overwhelmed by oxidative stress and chronic excessive inflammation, our risk of cell cancer is increased. By providing us with rich supplies of antioxidants and anti-inflammatory nutrients, olives can help us avoid this dangerous combination of chronic oxidative stress and chronic inflammation. 9Vitamin E – Olives are a great source of vitamin E, which has the ability to neutralize free radicals in body fat. 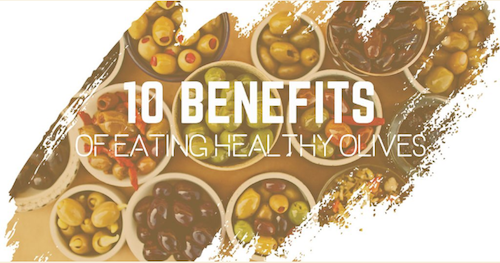 Especially when working with the stable monounsaturated fats found in olives, vitamin E can make cellular processes safer. If the DNA of a cell is damaged, it can mutate and become cancerous. Studies have shown that a diet supplemented with olives and olive oil leads to a lower risk of colon cancer, almost as low a risk as a diet rich in fish oil..
10Fiber – Olives are full of dietary fiber. Your microbiome and the probiotics within it lo-o-o-o-v-e fibrous foods. Nobody’s perfect. Olives are salty, containing about 60 mg of sodium per olive. 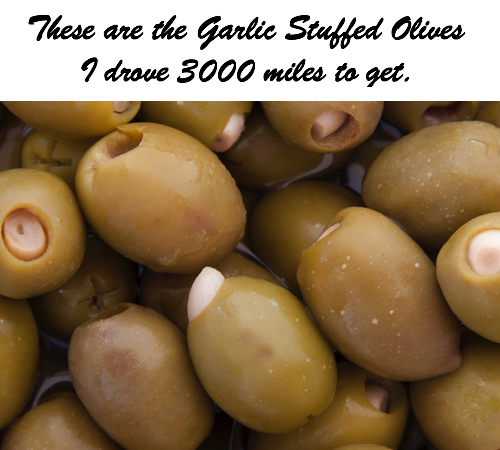 Through osmosis, you can reduce the saltiness of your olives by replacing a portion of brine with plain water. If you have high blood pressure or have been advised to reduce sodium intake, consume all salty food responsibly. 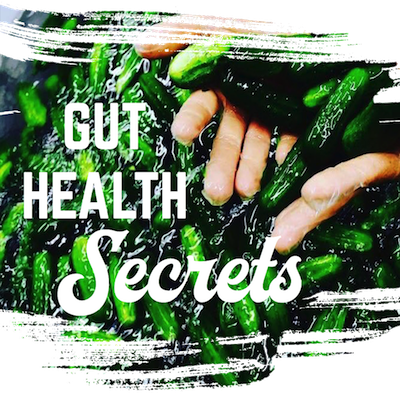 Olives Have the "Gut Health Trifecta,"
2. They are high fiber.